 Home Girls Glamour Moving Ahead.. Things are now easy going for all as Razia have become strong and want to move forward. Her daughters resumed their school from the very next day. But the thing that worried her was to earn a living for herself and her children, to give them enough bard and to continue their education and to prepare for the arrival of a new family member. For how long others will support her? She had not completed her education else she would have tried for a job. Anyhow she wanted to be independent. Razia was very much inspired by thoughts; she thanked Mayra and agreed with her. Mayra asked her, “What are your hobbies or activities that you like to do? I know very well that you couldn’t complete your college, but I am just trying to find so that you can keep yourself busy and forget about what has happened. Or if you want to learn anything of your choice, then it will be a great idea to start.” Razia was uncertain about it. Mayra asked her again and then, she said she knows knitting and sewing. She said, “I learned it from school and then my grandma, she taught me how to stitch clothes and do all the embroidery work on it. It was my hobby when I was little. But now, I stitch occasionally for Tasneem & Heena on their birthdays.” “That’s very nice. See you have a hidden talent in you”, Mayra said. As it was late, they returned home and went to bed. Mayra was thinking how she could help her. She thought Tanya can keep Razia busy. But first she needed to talk to her. On the other hand Razia was thinking why Mayra is so much interested in helping her? Why she is taking so much effort and keeping her in her own house? She could have sent her to shelter home. Why she is so much soft hearted towards her?